The case, in titanium, measures 45mm x 12.4mm. It has a box shaped AR-coated sapphire crystal, a sapphire display back and it is water resistant to 300 meters. The two-position crown at 4 o'clock is used for winding and setting the time, while the crown at 2 o'clock is used to rotate the unidirectional 60-minute rotating bezel. Opposite, at the 9 o'clock position, is a helium escape valve. Movement is the Swiss manual-wind Angelus in-house caliber A-310 with 23 jewels, 28,800 vph and a power reserve of 5 days. Silicon lever escapement. 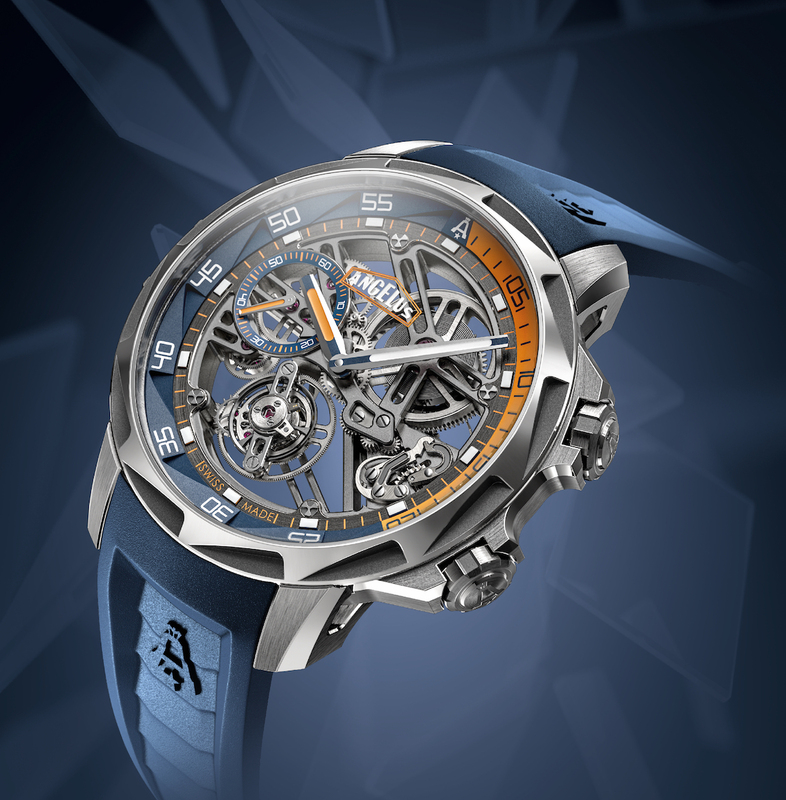 Sandblasted plates and bridges, wheels with Angelus six-spoke design, tourbillon cage with chamfered and polished edges. Finally, the tourbillon cage is set on a ball bearing instead of pivots to gain stability. It has an openworked dial with blue and orange chapter ring. Hours' indeces, chapter ring's Arabic numbers and hands filled with SuperLuminova. 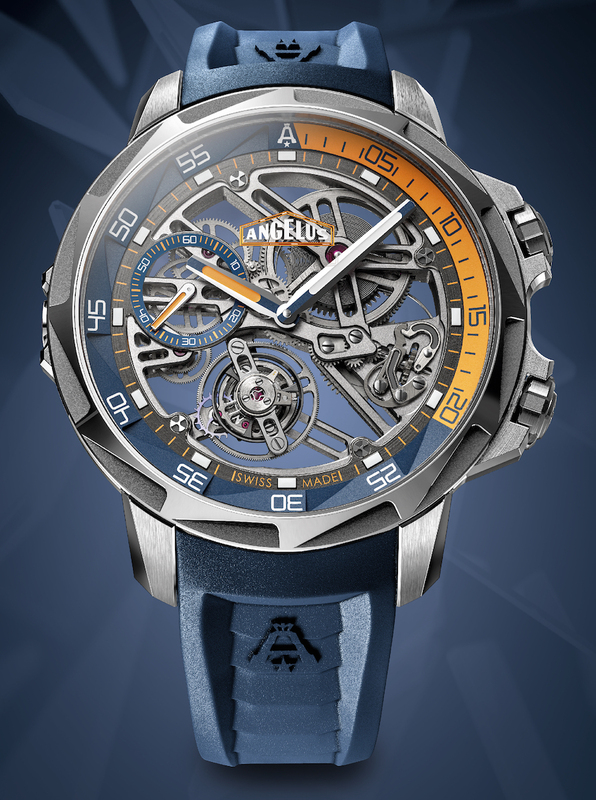 It comes on a blue rubber strap embossed with the Angelus logo and a titanium folding clasp. 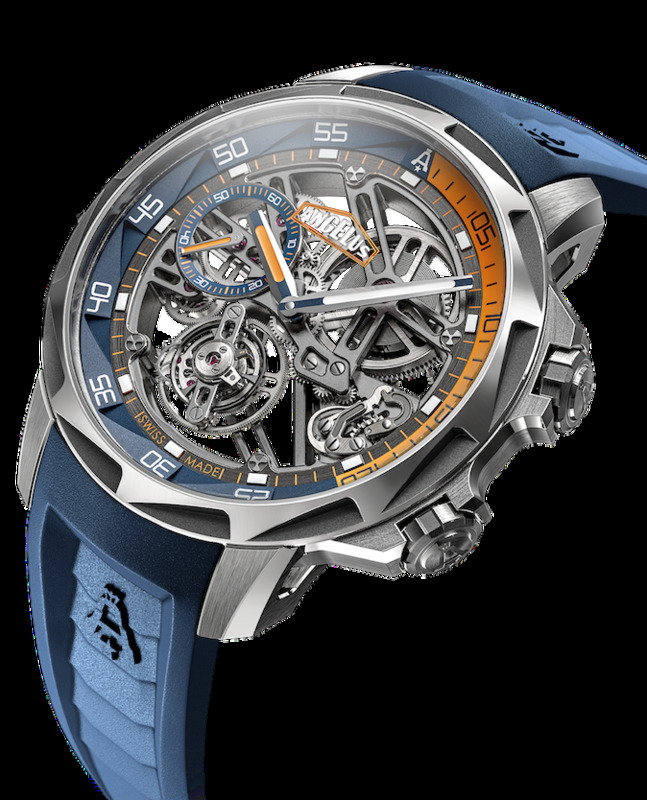 MSRP is 32,800 Swiss Francs. I have a hard time looking at this watch and thinking "diver." I also have a hard time looking at it and thinking "attractive." I've never understood watches that make me ask "why?" on my first impression. I fail to see the purpose or intended market - even 25. 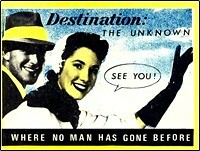 The only explanation is Angelus is saying: " Hey world! Look at what we can come up with. Beat that!" It's as if it started as a training exercise for their designers to push the envelope etc. but "since we are at it, lets make another 24 and flog them to people with discerning 'taste'..."
I suppose it's part of the continuing trend of the dive watch as jewellery..
...and it costs a huge amount of money for no considerable gain. LOVE IT, LOVE IT, LOVE IT, LOVE IT, LOVE IT, LOVE IT, LOVE IT, LOVE IT, LOVE IT!!! The whole point of a dive watch is to be legible. nice dial and strap combination.